Social media has become a part of everyday life. In 2010, Facebook overtook Google as the Web's most visited site and in the US Internet users spend one out of every four online minutes on social networking sites and blogs (1). If social media is unfamiliar, that first dip of your toe into new waters can be daunting. However, Elsevier has a range of subject-specific pages available you can join. And below we have outlined some tips for setting up and maximising the potential of your own social media profiles. As an Author, your contribution to these social media communities by starting or joining in with discussions could help highlight your research and bring your latest work to the attention of the community. We invite you to follow or join Elsevier's social media channels to keep abreast of the latest developments in your area, share your research by posting your published articles, and ask the questions you want to discuss with your peers and colleagues. If you mention us on Twitter, we'll retweet to our followers. Conversational: It's not about blasting a message. It's about having a conversation and asking questions, listening, and responding. Valuable. Don't post just to post. Think about how your network will use the information you are sending. It's even better to add context to a link – let them know why you are posting. As Director of Social Media and Content,Angelina Ward (@angelinaward) leads social business efforts throughout the organization. These include forming policy, guidelines and centralized resources, and driving corporate-level campaigns. She speaks at industry events on social media topics and has been recognized as one of the Top 50 Women in Technology on Twitter who truly "gets" social media and social business. She is based in Atlanta. Rachel Guest is Group Marketing Communications Manager and is based in Elsevier's Oxford office. She is the social media project lead for Elsevier's Science, Technology and Medical Journals with responsibility for more than 150 subject social media channels with a following of more than 250,000 individuals. 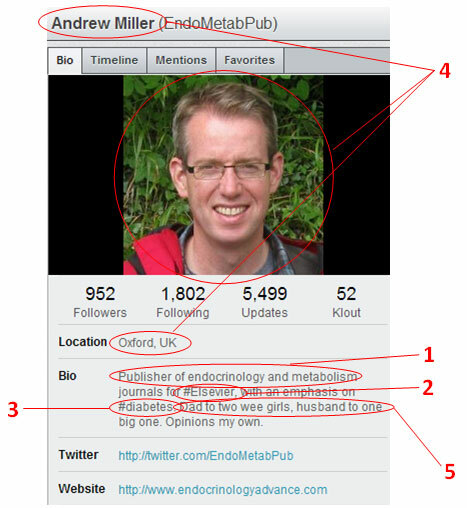 Her role is to ensure that Elsevier's social media content engages with and meets the needs of researchers. This article was originally published in Elsevier's Editors' Update, March 2013 issue.